With Skanect Pro you can wirelessly stream 3D scans from your Structure Sensor in real-time to your Mac or PC for rapid capture, editing, and sharing of high-quality, full-color, 3D scans. 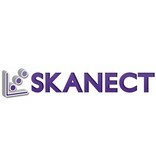 Skanect Pro is available separately or included as part of the Launch Bundle. Skanect Pro has been designed by the Occipital team to work seamlessly with your Structure Sensor. With Skanect, capturing a full-color 3D model of an object, person, or room has never been easier.